Back at the end of August I signed up for the Secret Tote Bag Swap being hosted by Lia over at Lia’s Handmades. 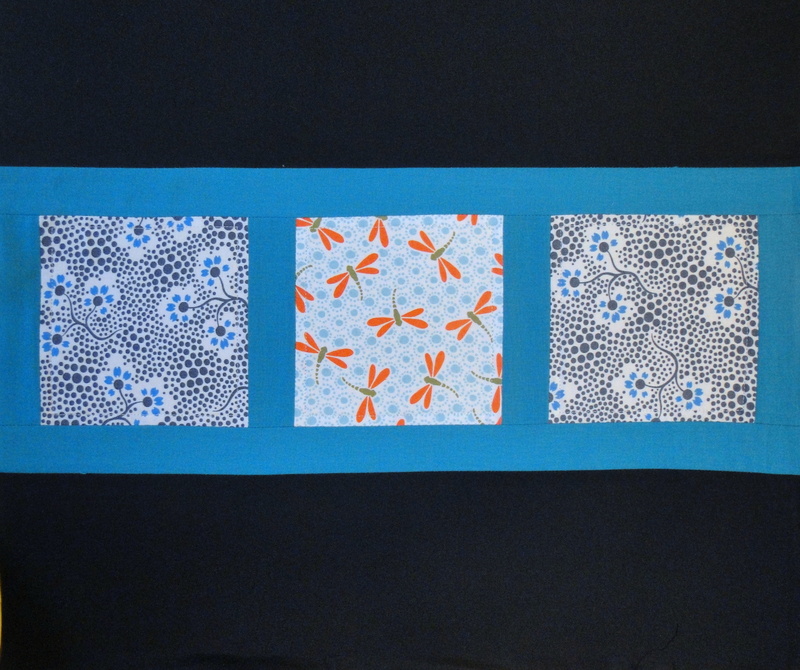 I had lots of different ideas on how to best interpret the Nature theme for this swap, but of course I had to wait and see my partners lieks and dislikes before I decided on my final design and fabric choices. 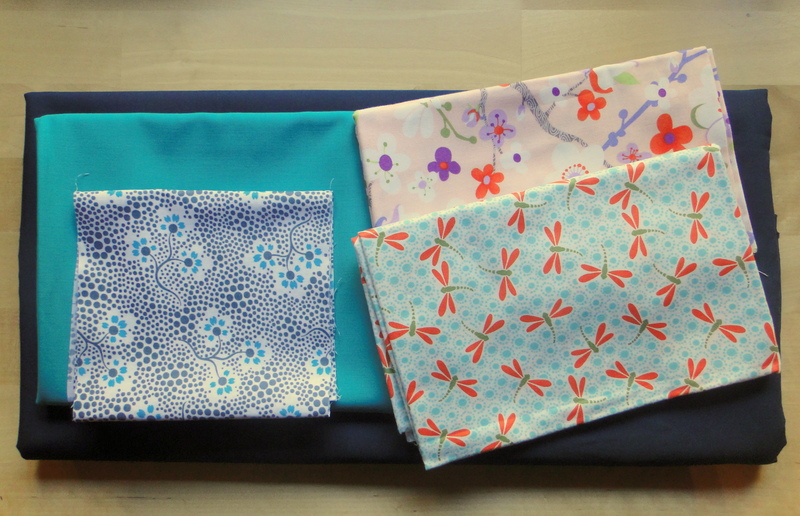 Once I received my partner information I dove into my stash and picked some solids and floral fabrics that I felt best fit with my partner’s likes. I started by making the front and back panels, using a simple blocked design but adding a monogram to the front panel instead of the centre square. The bag quickly took shape. 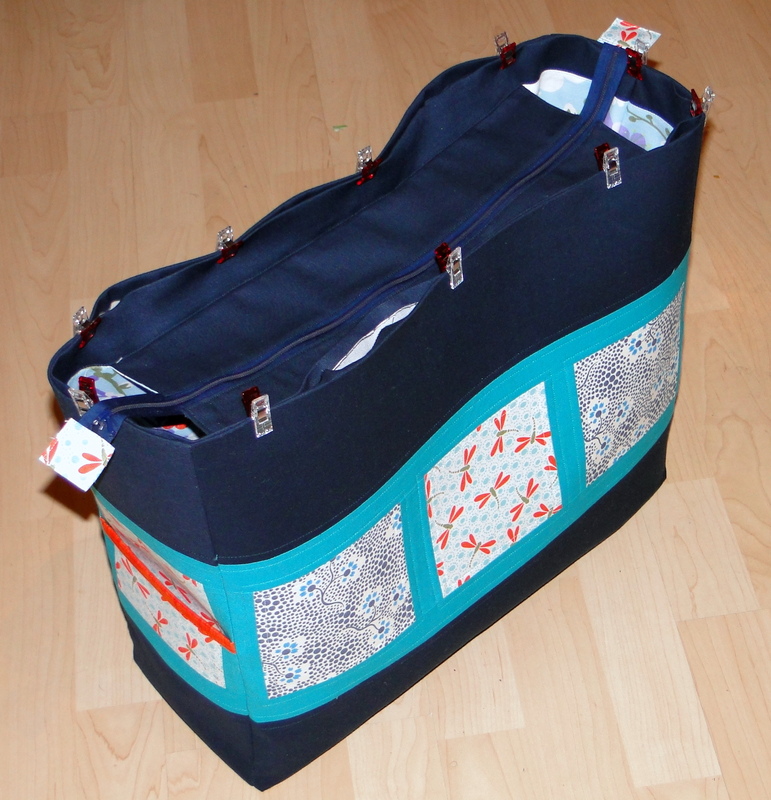 I added external pockets at either end and a zippered closure. Usind Decovil I as stabiliser meant that the bag had good rigidity structure and was able to support itself. Although I had originally chosen a pink fabric for the lining I changed that for the blue version of the same once I started sewing. 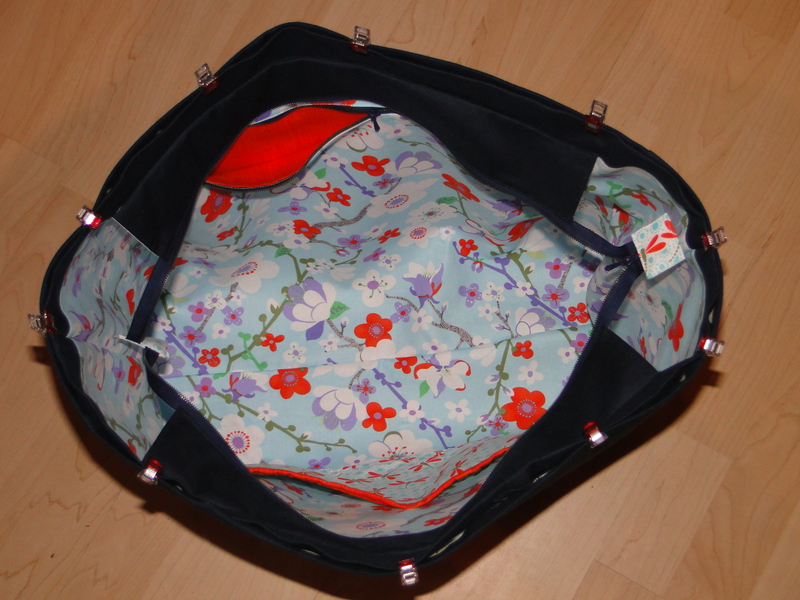 I felt it matched the bag better as well as the pops of organge fabric I used to line the inner zipped pockets and to bind the tops of the side pockets, both inside and out. The straps were attached externally. I added a little tab at the bottom for added interest and used a decorative stitch down the centre of the strap rather than sticking to the straight stitch I would usually use. The overall result is, I think, a well structured tote that has both clean lines and pops of colour/interest and I think that this fits well with my partner’s likes. 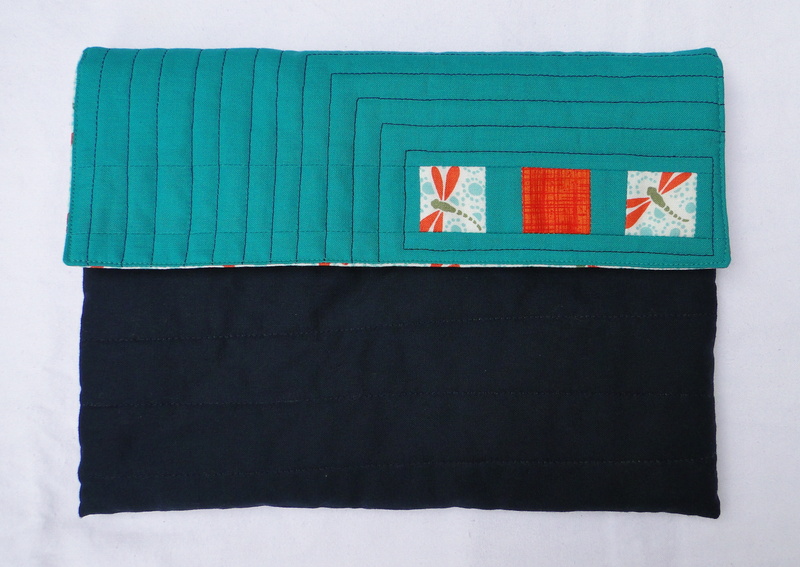 As a little added extra I made a simple quilted pouch to match. 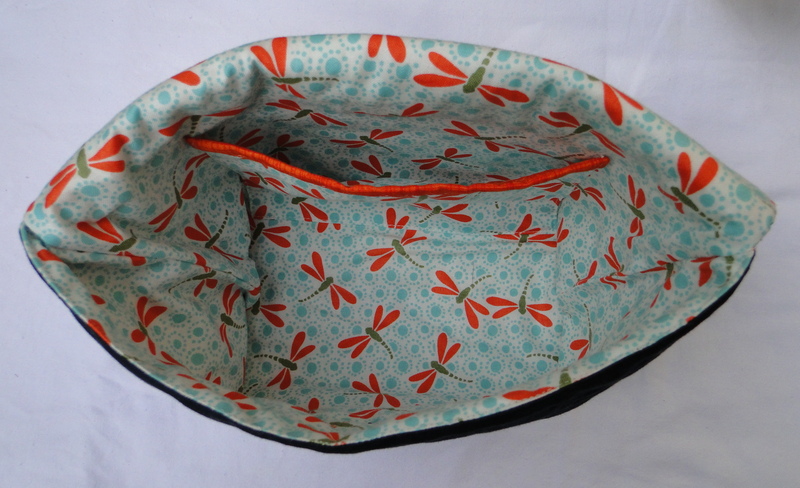 It too features a pop of orange binding on the inside pocket. 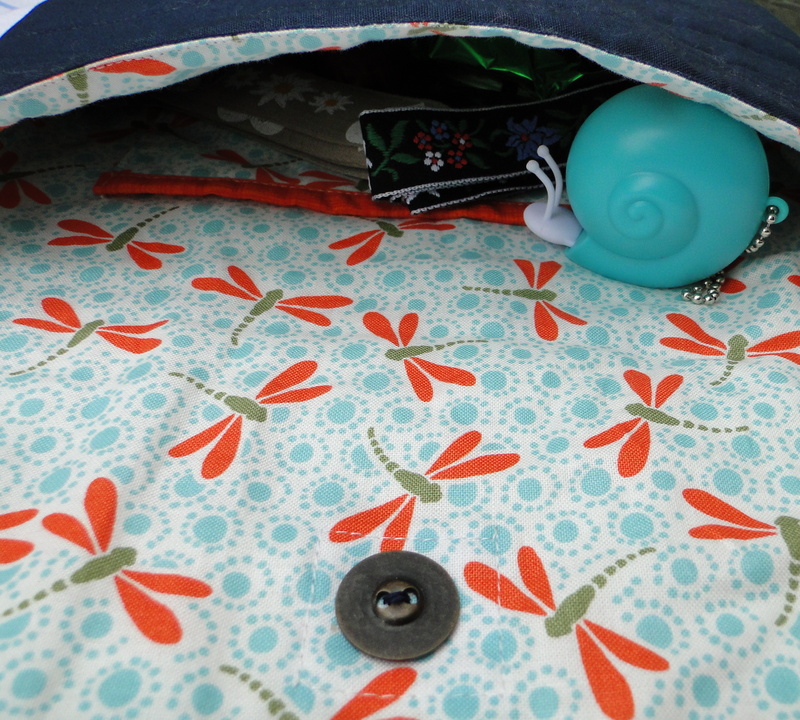 I used a simple stitch on magnetic closure and there are a few little goodies inside that I my partner will enjoy. 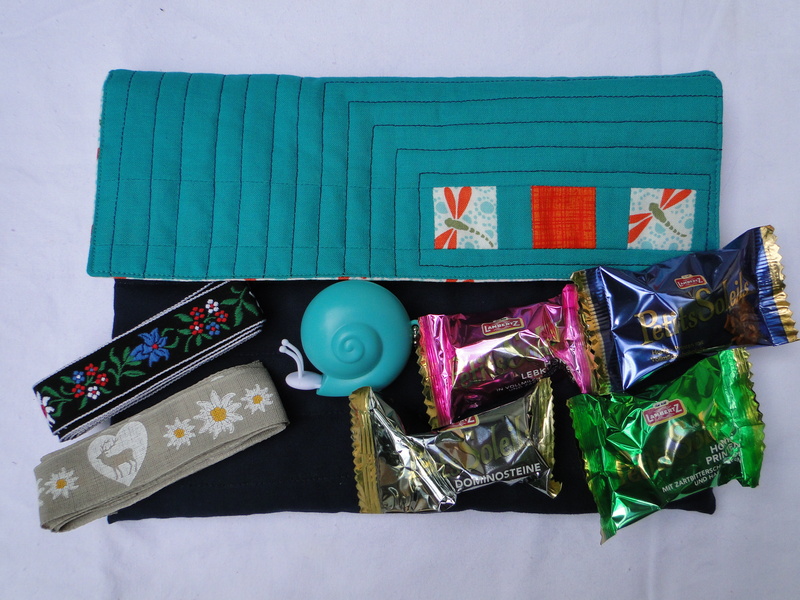 In addition to a little snail measuring tape there is also some Swiss ribbons and a few little goodies to snack on. I have really enjoyed taking part in this swap. 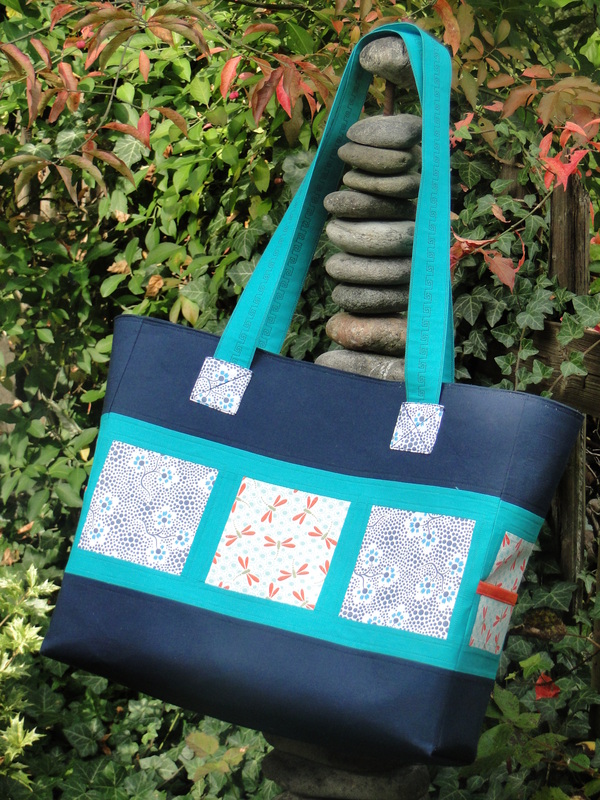 Designing and making this tote really challenged me on several levels but I have learned so much and I am very happy with the end result. I do hope my partner is too.